For people will be lovers of self ... Avoid such people. Okay, now put your hands down and turn in your Bible to the place where we are actually commanded to love ourselves. What, no hands? I'll give you a hint ... it's not in there. Now, if you're looking for the places where Christ tells us to deny ourselves or hate our own lives, you'll find those. This is because our basic problem is not with low self-esteem, but rather that we esteem ourselves too much at the expense of our Lord and our neighbors. And self-esteem is a pathway to nowhere. Now, follow me here. I'm NOT saying we need to be filled with self-loathing. What I am saying is that we need to get over ourselves! As long as we are consumed with ourselves, we are not filled with the Holy Spirit, nor are we filled with love for God or compassion for our neighbors. Self-love is Satan's favorite kind. It is not learning to love or forgive or accept myself that leads to joy and peace, it is living in the light of God's amazing love and obeying Christ's great commandments: love the Lord, love my neighbor. Scripture consistently presents self-regard as a primary obstacle to these supreme imperatives. 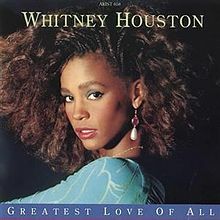 I remember when Whitney Houston re-released "The Greatest Love of All" in 1986. The song was a huge hit and reached #1 on both the pop and adult contemporary charts. More than that, it became something of an ode to self-esteem and self-actualization; an anthem justifying and celebrating our culture's obsession with the self. Sadly, Ms. Houston's own short, spectacular and tragic life serves as a vivid testimony to the barrenness of self-love as a life-orienting force. The bottom line is this: the concept of self-forgiveness is not Biblical, but secular-humanist at its core, because it idolizes the self. If I have the power to condemn or forgive myself, then God is irrelevant to my salvation. Self-forgiveness is not merely unnecessary and redundant; it is foolish, delusional, and self-idolatry. The errors of self-forgiveness and self-love are not merely misguided, they are cruel. They obscure the truth that genuine, meaningful, powerful, life-changing love, forgiveness, acceptance, etc. are available to us when we follow Christ in the self-denying, self-sacrificial way He prescribes. Self-love and self-forgiveness are the world's empty shadows of the true love and transformational forgiveness that come from the perfect Lover of my soul. The world chases these shadows because they are cost-free. They get what they pay for. Of course, for the world to invent worldly doctrines is hardly newsworthy. For the church to embrace these doctrines and cover them with a Christian veneer, however, is heretical and deeply corrosive. We rob the Gospel of Jesus Christ of its power when we slather it in trendy, worldly psychology. When we attempt to synthesize the world's bankrupt philosophies with the richness of Christ's gospel, we may ask the memory of Whitney Houston--whose first #1 hit celebrated adultery, but who also styled herself a gospel singer--where that leads us. This discussion is not merely semantic, it is basic. The church needs to reclaim the Biblical language, so that we can start talking again about Biblical truth. This means rejecting the false gospel of self-love--which, thank God, is absolutely not "The Greatest Love of All"! you've hit it brother, i have always thought of this song in this way, very selfish; we as christians should be selfless: Luke 9:23; then he said to them all, if anyone would come after me, he must deny himself, take up his cross daily and follow me...you can't deny yourself if you still pamper yourself with self love..thanks. The Bible is getting less and less respect among Christians these days. Scary, because it's our only guide and shield. People are less interested in consulting the Bible for guidance than ever before. Regarding self-esteem we should value ourselves as God's children, but only because of the value of the Father and the Son whose family we are adopted into. "Let not the wise man ... the mighty man ... the rich man" glory in anything except this: "that he knows and understands" God! Jer 9:23,24 - (paraphrase is mine). Does God Want Me to Forgive Myself? Here I Am (Again), Lord ... Now What?